Sarah’s anger after Tribal Council miraculously turns into her apologizing to Cirie for being angry, once she finds out Tai was interested in voting her out. That was some masterful work by Cirie, helped along by luck and the fact that Tai is generally bad at lying and strategy in the game. Brad wins immunity then decides his best strategy is to angrily command Tai to play one of his idols, then give Brad the other one for safe keeping during Tribal. It’s weird and scary, honestly, and Tai smartly doesn’t just sit down and take it. His confusion over what to do leads to him breaking down with confusion and stress. Tribal goes fairly normally, until the end when Tai pulls both of his idols, plays one for himself, then one for Aubry. Then Sarah pulls out her legacy advantage and plays it for herself. THEN Troyzan pulls out his immunity idol and plays it for himself. That means Cirie is the only person that can be voted for, so she automatically goes home. This is the absolute garbage cherry “twist” on top of the garbage twist sundae we’ve had throughout this season. Brad wins the second immunity challenge, which makes him pretty much a lock to immunity his way all the way to the finale. Things get dicey for him, though, when he gets aggressive with Tai again, saying that he is in control of who goes home and that Tai has to vote his way. It’s stated in such a mean, “or else,” bullying way that it’s almost unbelievable. Juxtapose that with how Sarah kindly listens to what Tai wants and purposely makes him feel comfortable, and it’s hard to see how Tai could ever go along with Brad instead of Sarah. Doesn’t matter how I can see it, however, because Tai and Sarah go along with Brad and Aubry is eliminated. This season is turning out to be so fun, if your idea of fun is excruciating. 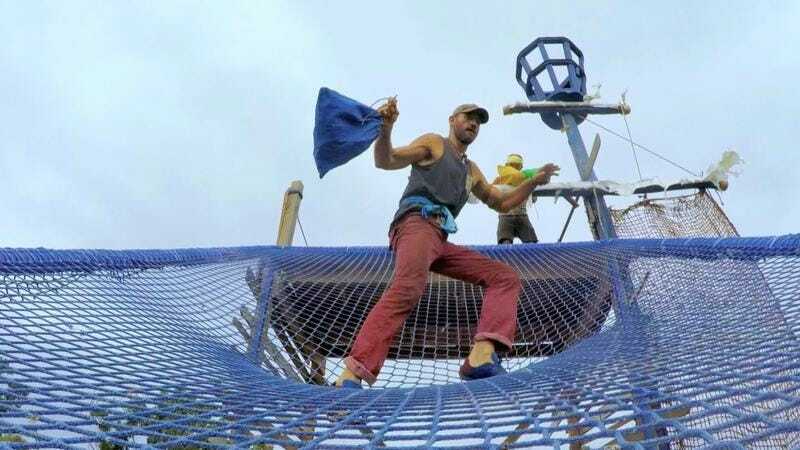 Brad won all three immunity challenges in these final two hours to make it to the finale. Typically that would be an exciting thing to root for, but Culpepper is just the worst, which he’s shown over and over again in his interactions with Tai in this finale. So it’s a bit less exciting. Tai and Sarah discus a plan to vote for Troyzan and force a tie, which would make the final spot in the final three come down to a fire-making competition. Sarah doesn’t go for it, though, taking the easier way out and voting Tai out of the game. It’s obvious Brad thinks it will be easier to beat Sarah at the end than it would be to beat Tai. The question is: Is he correct? 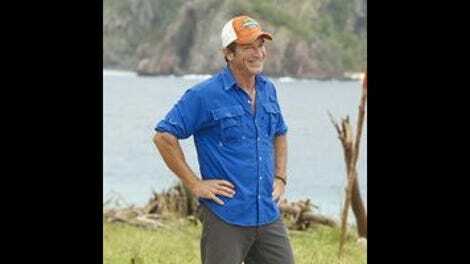 Even the final jury questioning has to have a garbage twist: Questions must be centered on the Survivor theme of “outwit, outplay, and outlast.” It turns the questioning into much more of a regular Tribal Council, as people chime in together on each other’s questions and take things off into tandems, all directed by Jeff Probst. The back and forth between the jury members and the final three works very well, but you miss some of the weird prepared performative nature of one-on-one jury questioning. Also, Probst sticking his nose (and opinions) into the final questioning feels unclean, somehow. Every year I’m surprised by the vitriol so many jury members have toward people who lie to them in order to get further in the game. This year’s vitriol is uniformly focused on Sarah, who formed personal relationships with everyone in the jury and now most of them hate her for it. I should stop being so surprised, for my own sanity. To Brad’s credit, he apologizes for bullying Tai during the reunion and it sort of seems sincere. He blames it on being frustrated, which, sure. He then immediately tries to bully Probst into not playing the “what if” game about what would have happened if the final tribal ended in a tiebreaker, which is fairly amusing. Probst calls Zeke’s outing a “cultural milestone” which feels vaguely icky. Let’s not get to self-congratulatory about a truly awful moment, Jeff. The one good thing about this segment is that it’s almost entirely focused on Zeke’s feelings. Varner gets to talk too, but who cares about him. Ozzy’s reunion speech seemed to be about overthrowing the government? It was confusing. Be more explicit in your politics next time, Ozzy, for the people in the back row. Overall, the season was a definite disappointment, despite a mostly satisfying winner. Next season’s theme is “Heroes vs. Healers vs. Hustlers” which does not seem promising. But hey, any season can be great with good casting, no matter the theme. Until then, Survivor fans!